If a patient goes to a doctor and gets a bad result, are these easy cases to win? Do all medical malpractice cases end up in trial? How much can a victim of malpractice recover? Are there any other limits on medical malpractice lawsuits? How can a consumer tell if they should bring a medical malpractice lawsuit? What do you do when you to want to prove that someone died because of negligence or abuse? What will an attorney do to determine if I have a good case? How much do medical malpractice attorneys charge to represent a victim? What can I do to make sure I select a good attorney to handle my medical malpractice case? How do we get my medical records? Medical malpractice occurs when a medical practitioner digresses from the appropriate standard of care while treating a patient. Medical malpractice is more than the physician or other health care provider making a simple mistake. Malpractice occurs when the health care provider does something that other reasonably qualified treatment providers would have not done when faced with the same. It can occur when the doctor or other treats acts in a negligent manner or when he or she FAILS to act in the appropriate manner. When malpractice, or medical negligence occurs the victim or victims are entitles to monetary compensation for any injuries that result. No, these are among the most difficult cases for a victim or victim’s attorney to win. In order to bring a malpractice case to trial, it is necessary to have expert testimony describe what was done wrong and how it could have and should have been avoided. Good reliable experts are expensive and difficult to find. Often, doctors in the community won’t testify against one of their own colleagues and out of town doctors have to be brought in to testify. The law often recognizes the practice of medicine more as an art than a science, so physicians are given a great deal of latitude as far as there treatment of particular patients go. While a malpractice case may settle before going to trial, many times the insurance company cannot settle a case without the doctors’ or other treatment provider’s consent. In many cases doctors are unwilling to admit to making a mistake because doing so may adversely affect their insurance premiums, their hospital privileges or even their licensing. Without the doctor’s consent the case cannot settle no matter how much the patient and the doctor’s insurance company may want to settle it. However, sometimes settlement is more plausible. For instance, if the claim is against a hospital or other type of treatment provider. In those instances there may be no consent clause to prevent the insurance company from settling meritorious cases. In addition, in some states and in some situations there is a whole category of medical malpractice cases that never go to trial, but instead are resolved through binding arbitration. Many hospitals and doctors have the clients sign an agreement to go to binding arbitration if there is any dispute. These agreements are often in fine print in the initial papers the patient fills out when they first see the doctor or when they are initially admitted to the hospital. Often, the patient doesn’t realize that he or she has signed a binding arbitration agreement until there is a problem and the lawyer finds this clause buried in the patient’s medical records. 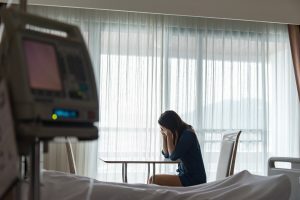 Regardless of the age of the victim or the severity of the injury, some states provide an arbitrary cap on the amount of money that can be awarded in medical negligence actions for non- economic damages such as pain and suffering. In some states there are no such caps. In those states the amount that can be awarded is left in the sound discretion of a jury and/or a judge. Yes, perhaps the harshest limit is the statute of limitations. Generally, if a victim doesn’t takes steps to formally preserve his or her claim for malpractice within the state’s applicable time period, all rights to bring any lawsuit will be lost. 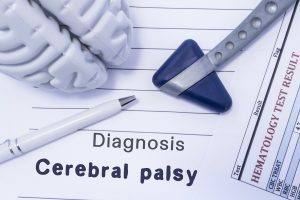 Usually, various state laws provide an exception to this rule for minors or those under a disability, or if the health care provider committed fraud or in the unusual situation where the doctor left a foreign body inside of someone during surgery. Because of the large expense involved in hiring experts and bringing a malpractice case coupled with the difficulty in winning these cases, only the most seriously injured victims’ claims can be pursued .These cases are extremely hard fought and more emotionally taxing for the client than almost any other type of litigation. An autopsy is usually necessary if you truly want to prove in a court of law what caused a person’s death. While it is not impossible to win a lawsuit without an autopsy , in many circumstances, it will be extremely difficult to prove a case without one. Even if you know (or think you know) the cause of death ,an autopsy can provide valuable information to aid in the lawsuit as well as providing answers to family members about the circumstances surrounding someone’s death. Better if the autopsy is done somewhere other than at the hospital where the questionable medical care was rendered. If adequate funds are available, consider having the autopsy performed at a university medical center . Specifically request that the doctors involved in the care and treatment of the patient NOT be allowed to be present during the autopsy and for the medical examiner/ pathologist/toxicologist involved in the autopsy NOT communicate with the treating doctors about their findings. It generally will l take a couple of months to get the final report regarding the autopsy. In the interim, whomever is listed as next of kin on the death certificate should IMMEDIATELY order ALL records from the hospital or health care facility where the questionable care was rendered. Bring the photo ID of the heir requesting the records together with a copy of death certificate to the medical records department when requesting records. Write down the name of whomever is taking the order for the records and the date the records will be ready. You need to get those records ASAP before the autopsy is completed so the health care providers won’t be able to change the records to conform to whatever is in the autopsy report that may or may not help them. If the victim suffered a severe , permanent injury, a malpractice attorney will read and summarize all of the person’s medical records to make an initial determination as to whether there is a viable case. Often, the attorney will do medical research to assist in the initial evaluation. Before bringing a malpractice lawsuit, a competent and ethical attorney will first have the medical chart reviewed by a qualified expert to make sure that there is a case. It is impossible to ascertain the merits of a medical malpractice lawsuit without extensive investigation, research, evaluation and consultation with medical experts. Most medical malpractice attorneys are hired on a contingency fee basis. That means the victim does not have to pay the attorney by the hour for his or her time. Attorneys’ fees in medical malpractice lawsuits are typically based on a percentage of the amount of money recovered. In some states the contingent fee structure is mandated by statute. However, in addition to the attorneys’ fees there are also a lot of expert costs associated with malpractice cases. These are separate and apart from the attorneys’ fees. Make sure that the attorney devotes a substantial part of their practice to medical negligence claims and that he or she has done so for a number of years. Ask the lawyer about other medical malpractice cases he or she has handled. If he or she hasn’t handled a case involving your same scenario before, has he or she had one that involves the same specialty? If so, ask them to describe it. Ask the attorney if he or she has taught medical malpractice to other attorneys or authored any books or articles in the area. If not, what does the attorney do to keep abreast of changes in both law and medicine? Is the client expected to pay for the initial expert’s evaluation? If so, who much will it cost and when is the money due? Will the case be handled by the attorney personally or will it be handled by an associate? If handled by an associate, what experience does the associate have and how much direct involvement will the primary attorney retain in the case? What kind of experts will the attorney retain to review the file? Ask to see the experts’ curriculum vitae (resume) to make sure the expert has a solid background. This final issue is the most important factor. The investment both the victim and the attorney will make in pursuing the case will involve a tremendous amount of effort, time and resources. Given how difficult medical malpractice cases are to win, the client should make every effort to ensure they have a solid case before proceeding forward. From society’s point of view the filing of a claim which ultimately cannot be proved hurts the civil justice system and will be used to attack the system by those who try to eliminate the rights of victims. No one can determine whether or not you have a good case without reviewing your medical records. Sometimes, it is better for the patient to obtain a copy of ALL medical records rather than having the attorney obtain the records. There are both benefits and detriments to having the patient obtain the records first rather than the lawyer. The benefits of having the patient pull his or her own records include the following: If it turns out there is no case, the health care provider need never know that the patient had a lawyer review the records. Second, if the records are pulled simply so the patient can obtain a “second opinion” the health care provider is less suspicious in handing over the records. This means records are less likely to be changed (yes, on rare occasion health care providers have been known to lose or change select records!) Finally, sometimes the provider will charge a patient less for a copy of the records than they would charge an attorney. The benefits of having the lawyer pull the records include the fact that it is easier for the patient not to struggle with the medical records department of the hospital or doctor. Often, if the health care provider knows that an attorney is involved, they will not release the records without first sending a copy of them to their own attorney or risk management department for review. This can add several weeks to the process. When weighing the pros and cons, it is better for the patient to try to obtain their own records. The patient should try to obtain ALL RECORDS and as SOON AS POSSIBLE. If the records are being obtained in a wrongful death case, the next of kin should give the health care provider a copy of the death certificate listing the individual as next of kin and a copy of their identification proving that they are indeed the person identified as next of kin on the death certificate. If you or a loved one has been seriously injured by a doctor or other medical provider, please e-mail or call us at 1-877-LOSS RECOVER (567-7732) today to speak with a medical malpractice attorney near you.